With all my Heart (Mixi Heart): You've made a Quilt... now what? You've made a Quilt... now what? Hi there, in case you are new let me introduce myself... I am Michelle Jensen of Mixi Heart Designs. I am a long arm quilter and designer. I have a full line of patterns that are available at your favorite quilt shop or through my Etsy Store. I love all things quilty and I feel just completely content making cute things!! We made a move over that last yearish. Since then we have been updating the home for quite some time but have FINALLY been able to get to a point where I have started to decorate our home. 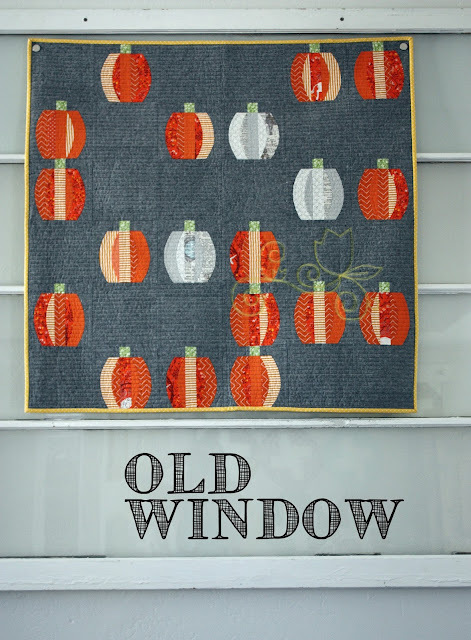 Starting fresh is always a time to get inspired on how you can display your favorite quilty things in potentially some new ways as well as some tried and true ways. I thought I would share a few favorite places I like to share what I have created and make our home feel like just that OUR HOME. 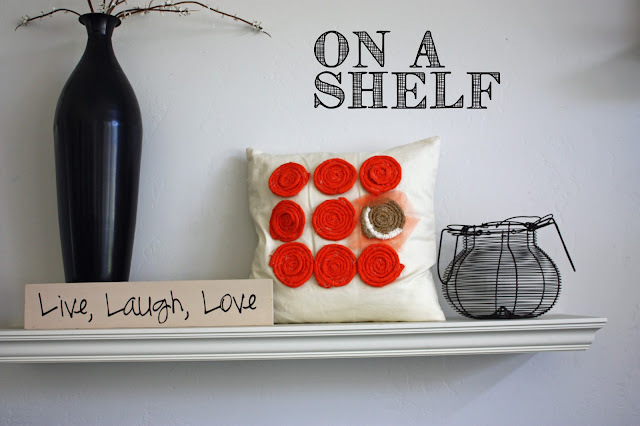 ON A SHELF - For a long time I have had these wider shelves that I LOVE!!!! Can't say that enough. I love shelves in my home because of their ever-changing looks. I had these shelves at our last home and they of course made the move with us. This time when I was installing the shelves I kept in mind that I would change them often. I made sure I allowed enough space for some taller pieces in case when I decide to switch things up I'm not limited by space. So I love my pillow on the shelf. I have a few different sham versions that I will switch out depending on what color scheme I am enteraining. In the picture I have my orange pillow because it is fall. During different seasons I will just simply change a few items and the pillow sham. It is a great place to put a pillow that might be a little intricate and you don't have to worry about the little ones getting a hold of it. 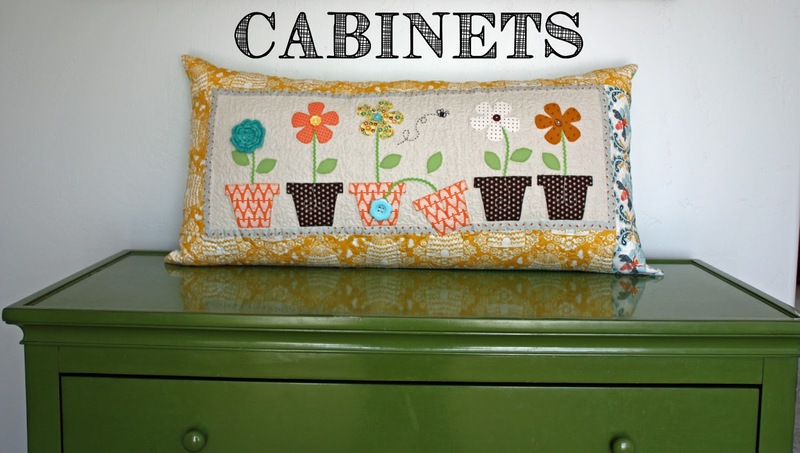 CABINETS/BENCHES - The next favorite place for me to place a pillow is on a cabinet. This pillow is a longer pillow. Essentially it is a Bench Pillow. Certainly it would work wonderfully on a bench but I have this cabinet that it fits perfect on. I also have little picture frames that I keep perched right next to the pillow to add that extra added interest. So think benches and cabinets for longer quilty items like bench pillows or table runners. GLASS - Would you believe that you can use magnets on either side of glass to hold a quilt? You CAN!! It is wonderful!! I have had this old window that I came across years ago. I have wanted to hang it on the wall for so long. At our last house we didn't have a wall big enough that was unobstructed... but at our new home we do!! YAY!! I purchased some magnets at home depot and then used them on both sides of the glass. I have the window attached to the wall and it is a wonderful place to display quilts. I can change the quilts the same way I would with the pillows. It really gives our home a very custom look. QUILT HANGER - You can not go wrong with a trusty Quilt Hanger. I made the quilt hanger shown in picture with the help of the hubby. It is simply two pieces of wood that are connected by drilling and securing a bolt and knobs to allow for the quilt to be tightly hung in between the two pieces of wood. This Quilt Hanger measures about 80". It works perfectly for all of my Star Patterns that run from 72" - 76" square quilts. I also have one a little shorter that will hang my Skinny Patterns that run 20" wide. The thing about hanging a quilt to keep in mind is that you don't need to see the whole quilt. If you have a cabinet that takes up half of the wall that's okay... the quilt looks fantastic just tucked behind the cabinet. It almost gives the wall more dimension and expands the space. If I could share any kind of advice about decorating with quilts it would be to have fun and don't be afraid to try new places. Quilts are gorgeous and it is so fun to see them sprinkled throughout your home. Not all of our quilts are bed sized!! Keep in mind that with decorating you don't have to have follow any rules. You can do whatever you want. One thing I like to remind quilting newbies is that there are no rules, meaning there are no limits. With decorating it is the same thing! 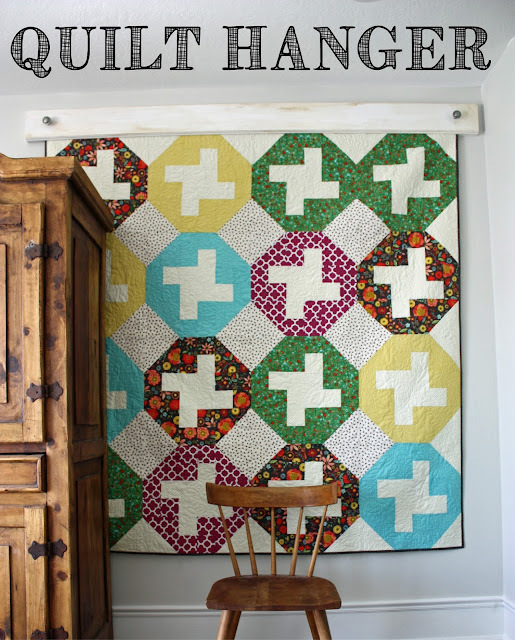 I have some more tricks up my sleeve for how to display quilts in your home. Check back to see a few more over the next few months. Thank you for stopping by! One day you will learn how to give and receive love like an open window and it will feel like Fall everyday. May your walls know joy, May every room know laughter, and May every Window open to great possibility. Sometimes you just have to jump out the Window and grow wings on the way down.